Women's genuine leather belt with a silver center bar buckle. 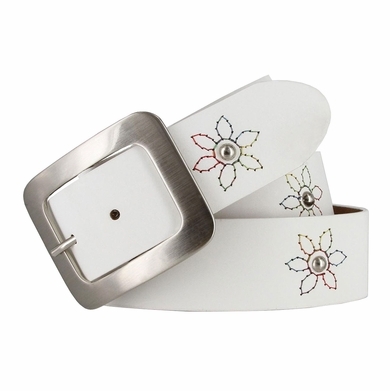 This beautiful belt features flower decorations that are stitched on with a concho in the middle of it. Made in Italy.